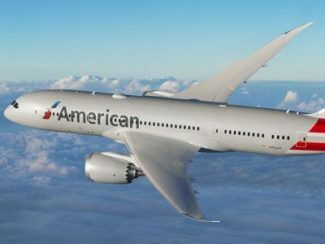 The first New Zealand LGBTI Awards have made an exciting announcement – the world’s largest airline, American Airlines, will be their headline sponsor. The major international flight company has lent its support to the New Zealand LGBTI Awards as their most prominent sponsor, with Director and MD of the Awards, Silke Bader, reacting with delight at the news. “We’re thrilled to have American Airlines backing us, their support of our message and our cause means a great deal to us and to the people we represent,” Silke says. Just last week American Airlines hosted its tenth Earl G. Graves Award for Leadership in Diversity and Inclusion, which recognises team members who have passionately advocated equity and diversity within the company. “American Airlines were thrilled to have been nominated in the Australian LGBTI Awards in 2017 and 2018 and are proud to have two decades of history in establishing fair-minded policies and practices for our LGBTI customers and team members. We are an airline that embraces diversity and creates an environment of mutual respect,” says Simon Dodd, General Manager Australia and New Zealand Sales. The New Zealand LGBTI Awards is intended to honour organisations, places and individuals from all around the world who have in some way contributed to spreading a message of love, tolerance and equality for those within the LGBTI community. Having already enjoyed success in London and Sydney, the Awards will be coming to New Zealand for the first time this November 29th, at the Cordis Hotel in Auckland. Silke says the New Zealand Awards have already been successful, with over 200 tickets sold to the black-tie awards ceremony, and over 2000 votes cast for the nominees over the past few months. Several big names will also be present on the night, including former TV host turned-politician Tamati Coffey, who will be MC for the evening, and the well-known Kiwi comedy double act of Jools and Linda Topp, AKA the Topp Twins, who will be receiving the Lifetime Achievement Award. To find out more about the New Zealand LGBTI Awards and their sponsors, visit them here!